I wasn’t around for mixed tapes, but CD burners were just starting to hit the mainstream market when I was in eighth grade and ninth grade. It was around 1999 and MP3s were still a new thing. I was one of the smart kids who took advantage of the technology to make a profit. I would get a list of fifteen to twenty songs, download them, burn them onto a disc, slap on a label, and sell it for ten bucks. It seems like a big profit, but it would take a long time to burn a single CD. It took about twenty minutes to download a song off Napster with a 56k modem and it would get messed up if anyone picked up the phone. It could take up to six hours to download eighteen songs and another hour to actually burn the CD. Luckily most people wanted the same songs. It was mostly Blink 182 and Shaggy if I remember correctly. Now it takes less than a minute to download a song, and most people don’t even bother to do that anymore because they can stream it instantly or watch the video on YouTube. Technology keeps on pushing forward. 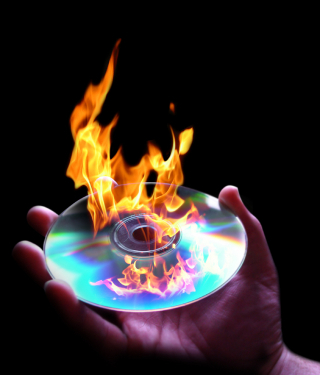 Burning CDs seems so quaint but I kind of miss it.